This is a playful exercise in gridding from a reference photo but purposely distorting the grid you draw into. 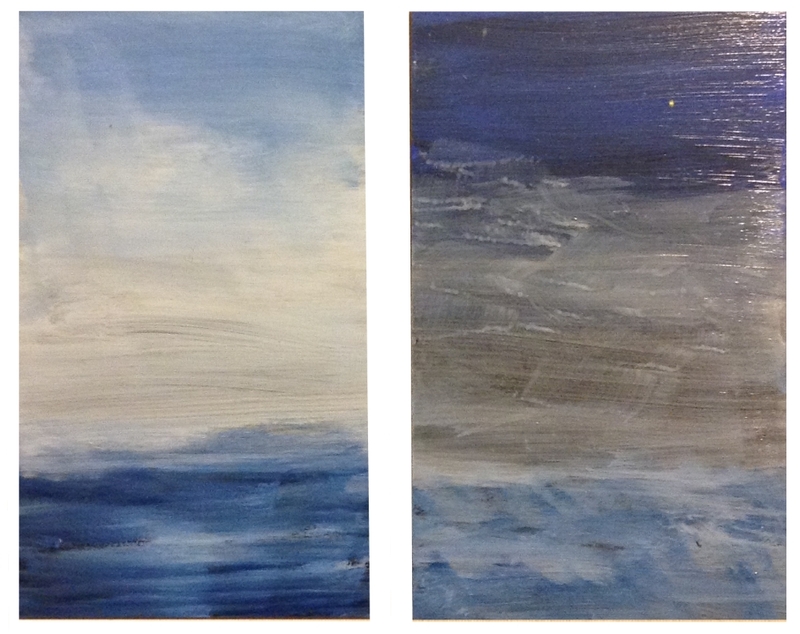 It’s a combination of intense, focused work and delightful results. Graphite on paper. I’ve been taking a Drawing class at Mendocino College to carve out time to work on charcoal and graphite technique. 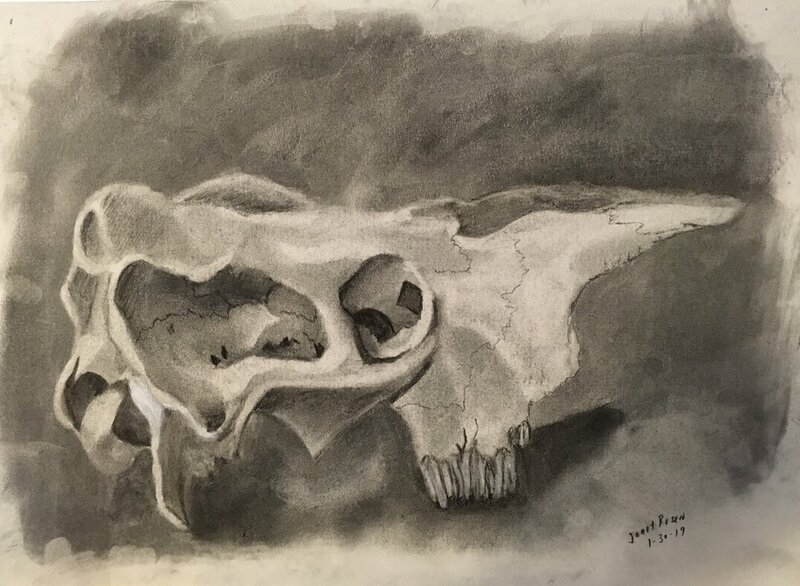 This is a tonal study in charcoal of a piece of cow skull. 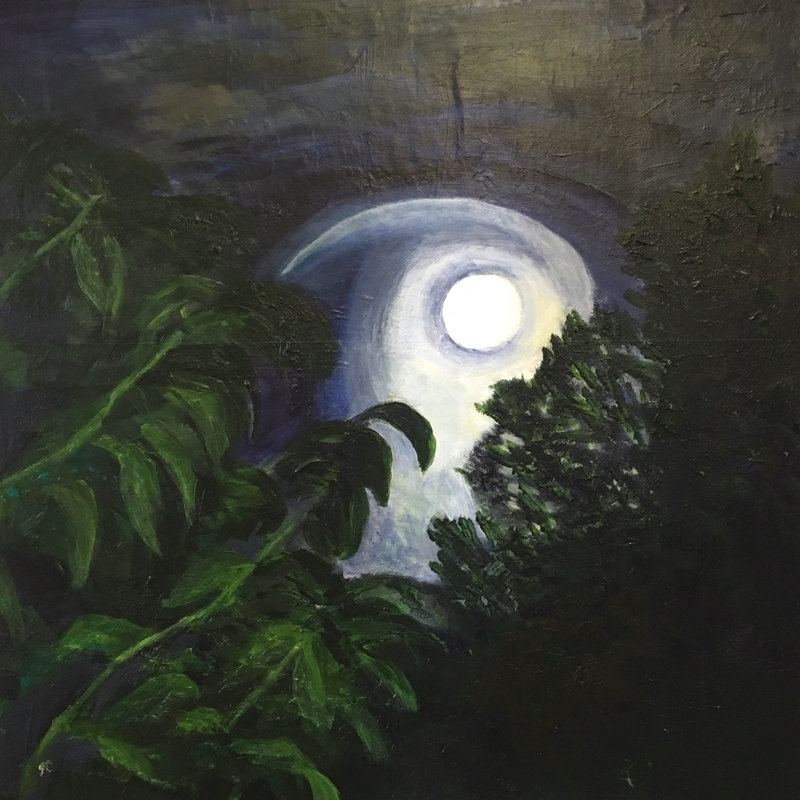 A small version of this 24” square is titled “Chasing the Moon.” However, the reference photograph is courtesy of my friend, Jo Adell, and the canvas came heavily pretextured, being part of a cache of used canvases worked on by the late Holly Cratty yet not part of her chosen body of work. As the new year opens, my aim is to do a series in which rather than obliterating Holly’s marks and textures I find a way to collaborate with her. In late November I started a new series of paintings based on photographs of the sky as day opens or closes, This is the first one, from a reference photo taken some years ago as I stepped out into the driveway to fetch the morning newspaper.